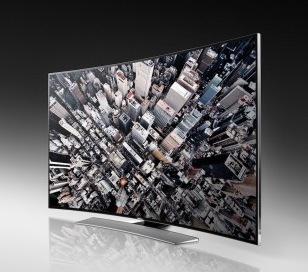 LG Electronics has unveiled what it says world’s first Flexible OLED TV at the 2014 CES show in Las Vegas. With this TV unit, viewers can control the angle of curvature for the ultimate viewing experience that was only available in the realm of science fiction. What separates LG’s Flexible OLED TV from other TV sets is that the curvature of the display can be altered using the TV remote to suit the viewer’s preference. The range of curvature was determined by taking into account key factors that affect the viewing experience such as screen size and viewing distance.